Tanker owners are looking for new trends, which will shape up freight rates, hopefully towards bouncing upwards. 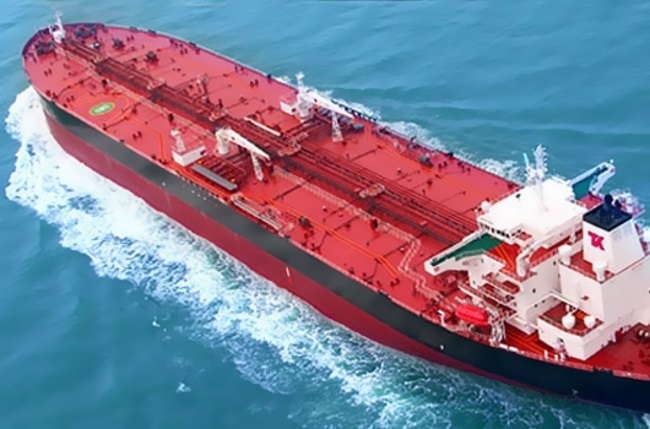 In its latest weekly report, shipbroker Gibson said that “in the tanker market, there are many factors not directly related to shipping but which could still have a major impact on shaping up both crude and product tanker flows. The prime example of that is the US shale oil revolution. The resulting surge in US crude production not only enabled a spectacular growth in short and long haul crude tanker trade but also supported an ongoing strength in seaborne exports of US clean products. Large scale pipeline infrastructure projects would be another good example. In Russia, a successful completion of the 1st stage of the East Siberia Pacific Ocean (ESPO) pipeline, including the link into China mainland, limited the export flow of Russian crude from the Baltic and Black Sea ports but at the same time boosted demand for Aframax tonnage in the Far East. Once the 2nd stage of the ESPO line is completed, due in 2020, this will translate into even more barrels being exported from the Russian port of Kozmino, located on the coast of the Sea of Japan. In contrast, a looming pipeline crunch in the US from the Permian basin to the US Gulf threatens to slow the growth in US crude exports in the short term. However, several pipeline projects are scheduled for completion in late 2019/early 2020; which, once online, are likely to offer a big boost to crude tanker trade out of the US”. According to Gibson “changes in regional refining capacity is also a critical factor that should never be ignored. In the Middle East, Saudi Aramco aims to start its new 400,000 b/d Jizan refinery later this year, while in Kuwait a new 615,000 b/d Al-Zour plant is pencilled to come online in 2020. Once these projects are fully operational, product exports are expected to increase substantially, as they did back in 2015/16 when a number of new regional refineries came online. This, however, also poses a threat to the Middle East crude exports, if barrels are diverted from export markets into domestic refineries. Will this be the case? Refining capacity in Asia continues to grow, supporting incremental demand for crude both from the Middle East and from further afield. We also are seeing a trend of national oil companies (NOCs) looking at refining projects in other countries, trying to secure the market for their crude. Earlier this week, Reuters reported that Saudi Aramco plans to deliver in October the 1st crude oil cargo to its joint-refinery project (RAPID) with Petronas in Malaysia. RAPID will contain a 300,000 b/d refinery and a petrochemical complex, with refinery operations set to begin next year. According to the same source, Aramco will supply 50% of the refinery crude oil, with the option of increasing it to 70%. As the Middle East oil companies build their presence in the downstream sector overseas, this suggests that the negative impact on the regional crude exports, following new refinery start-ups, could be limited”. “In contrast, the future trade dynamics are likely to be very different in West Africa, following the start-up of the massive 650,000 b/d Dangote Oil refinery in Nigeria. The refinery is officially planned to start operations in 2020; however, the latest Reuters report indicates that the project could be delayed until 2022. Once the refinery comes online, it will have double negative implications for the tanker market. 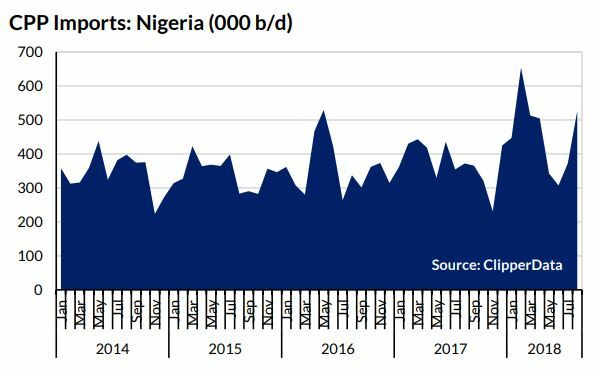 Crude exports are likely to come under downward pressure and, as Nigeria is a large importer of products, these are also likely to decline. Of all the factors described above, the new refinery in West Africa represents perhaps the biggest threat to tanker trade. Nonetheless, as US crude exports are expected to continue to grow in the medium term, this will help to mitigate the threat to dirty trade, and possibly offset it completely. West African product flows are still likely to change dramatically. However, if the Dangote Oil refinery proves to be a success, could we also witness a change in direction of the trade, with the surplus of Nigerian products being exported both regionally and across the Atlantic?”, Gibson concluded. Published On September 10th,2018 @ www.seajobhunt.com !! !